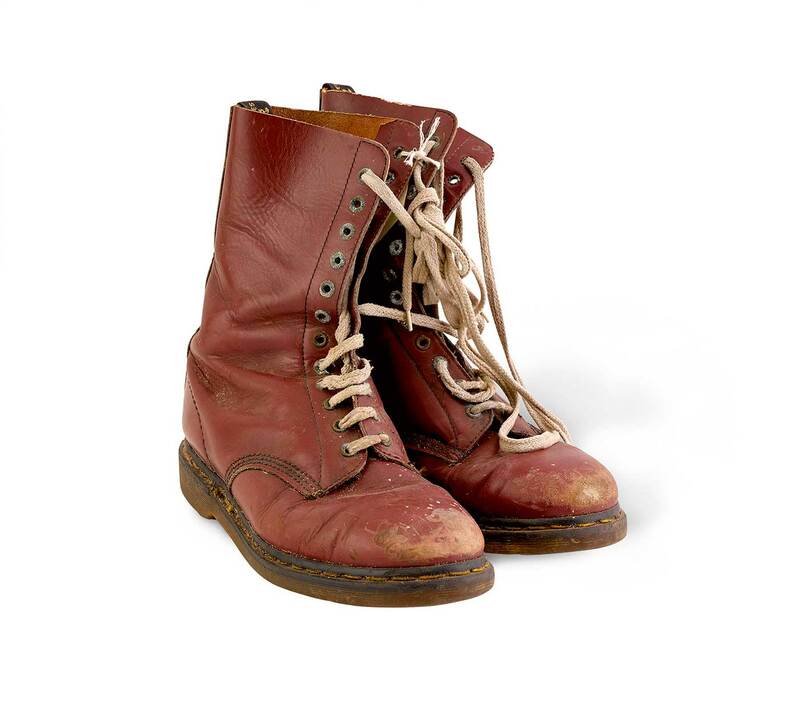 A pair of iconic Doc Marten boots worn by Russell Crowe in the Australian film classic Romper Stomper, and the costume worn by Crowe in the film adaptation of Elyne Mitchell’s beloved series The Silver Brumby, were purchased by the National Museum of Australia at yesterday’s highly publicised Sotheby’s auction. National Museum Director Dr Mathew Trinca said the Museum was thrilled to acquire the objects, which will help tell the story of the national film industry. 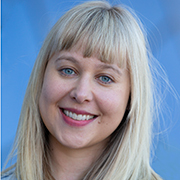 ‘These objects highlight the success and depth of the national film industry and allow us to explore and celebrate that story, on behalf of all Australians,’ Dr Trinca said. The high, 12-hole, maroon, Doc Marten combat style boots worn by Crowe in Romper Stomper reflect extreme racial tensions in Melbourne in the 1990s. They also represent Crowe’s early film career in Australia. Crowe wore the boots while playing the main character ‘Hando’, a character drawn from real events and people in Melbourne. The boots still have traces of sand on them from the penultimate scene shot on a Victorian beach. Released in 1992, Romper Stomper, generated critical acclaim and courted controversy, both in Australia and abroad, where anxieties about Neo-Nazism led to protests about the release of the film. Romper Stomper has been the subject of renewed attention as director Geoffrey Wright recently adapted the film into a six-part television series for an Australian streaming service. 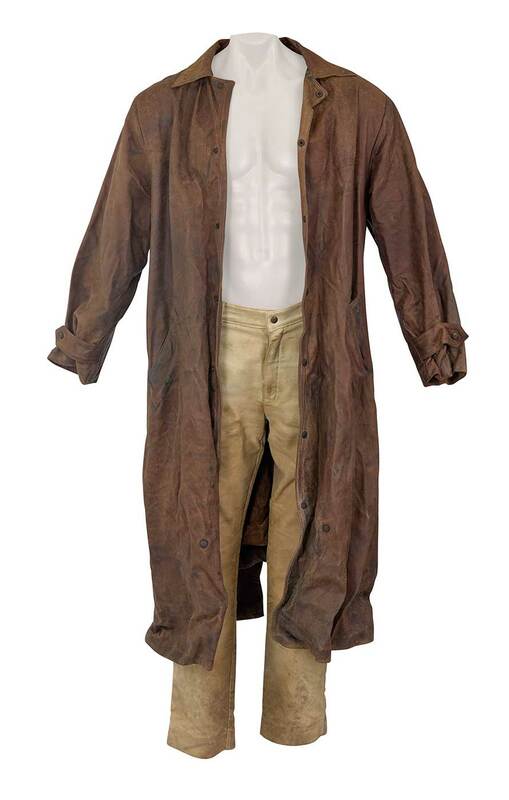 The Museum also acquired a pair of moleskin pants and a leather coat worn by Crowe as ‘The Man’ in The Silver Brumby. This film, directed by John Tatoulis and based on the eponymous series of novels by writer Elyne Mitchell, is particularly beloved by Australian children and young adults. The book series and the film were popular in Australia, drawing on deep cultural connections to horses and the high country, while also offering alternative perspectives on the impact of settlement on the culture and ecology of the mountains. Crowe played an archetypal white Australian settler in the film. The costume complements the Museum’s existing collection of objects linked to Elyne Mitchell and her literary career, including the Corona typewriter she used to write some of the earliest books in The Silver Brumby series. The Museum hopes to put the Romper Stomper boots and The Silver Brumby costume on display for our visitors as soon as possible, with more details to follow.